Where Can I Turn if I Need Other Kinds of Help? Text "PREGNANT" to 797979 to connect with an Adoption Counselor 24/7. Planned Parenthood provides compassionate and affordable reproductive health care in more than 800 health centers around the country. Planned Parenthood Hudson Peconic - serving Putnam, Rockland, Westchester and Suffolk counties 1-800-230-PLAN (7526). 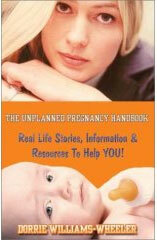 The Unplanned Pregnancy Handbook: Real Live Stories, Information & Resources to Help You by Dorrie Williams-Wheeler, features a wealth of information and resources about pregnancy, abortion, and adoption. The Unplanned Pregnancy Book for Teens and College Students by Dorrie Williams-Wheeler, provides stories and resource specifically directed toward younger women. In Good Conscience: A Practical, Emotional and Spiritual Guide to Deciding Whether to Have an Abortion by Anne Runkle is an excellent, evenhanded and supportive book that provides the information every woman needs to make her decision. The Adoption Reader: Birth Mothers, Adoptive Mothers, and Adopted Daughters Tell Their Stories by Wadia-Ells is a set of essays from birth mothers, adopted mothers, and adopted daughters which reveal different facets of the adoption process. Wal-Mart and Target both offer reasonably priced maternity clothing. Motherhood Maternity holds great sales. Go Before You Show - Information on what to do to give your baby a healthy start. Access to programs and services in Westchester County. 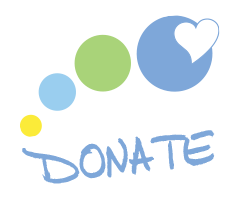 Lower Hudson Valley Perinatal Network - Outreach, resources and data toward improving the health of women, children and families in the region. Includes resources for dads and expectant women. Hope's Door - Programs and services to help victims and survivors of domestic abuse. 24-hour hotline. Information and links to many local and national resources.